There's just something about a pan of muffins fresh from the oven that makes everyone smile. Easy and delicious, muffins are the ultimate crowd-pleaser and make a perfect quick breakfast or snack. It's easy to get creative with muffins by adding fruit, nuts, fillings, or even going gluten-free with a few batches. No matter how delicious these muffins are, always remember to share! These delightfully tender, not-too-sweet muffins are a delicious twist on the classic lemon poppy seed combo. Grapefruit works exceptionally well in this context, as the flavor comes through delicately, without any of the citrus fruit’s signature bitterness. And the flavors of both the star ingredients of the grapefruit-Champagne glaze shine through deliciously, truly setting these beauties apart, especially in terms of brunch-worthiness. After you’ve set aside a tablespoon for the muffins, simply use the rest of your bottle of Champagne (or you can also use Prosseco) to whip up a round of mimosas. Pipe on a generous amount of cream cheese-honey filling into each muffin for an extra-special breakfast treat. A whole package of spinach gives these banana muffins their green hue. Muffin cup capacity will vary depending on pan manufacturer. Yield may increase if smaller muffin cups are used. Pumpkins aren't just for carving! You choose—Make Pumpkin Streusel Muffins or loaves. For loaves, spoon batter into 2 greased 8- x 4-inch loaf pans, and bake 55 minutes. Made with carrots, apples, raisins, and cinnamon, these muffins are full of fall flavors. Studded with fresh cranberries, Cranberry-Cornmeal Muffins are both delicious and nutritious while delivering a great on-the-go-breakfast or snack. Tangy yogurt is a healthy addition to the batter of these tasy muffins. The spiced nut streusel topping makes this one a recipe for the books. Jump-start your morning with these muffins, packed with B vitamins, calcium, antioxidants, and heart-healthy fats. We've made them healthier by incorporating whole wheat flour, oats, and low-fat yogurt and milk. 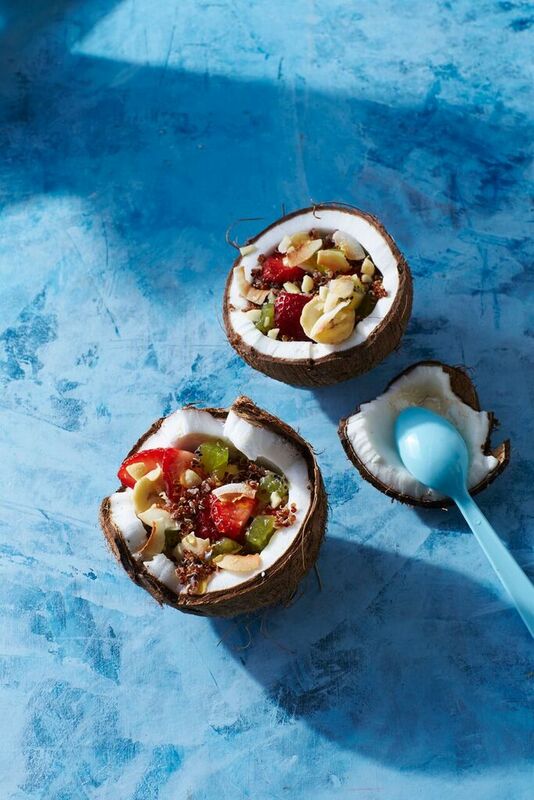 Try substituting other berries or bananas for even more flavor combinations. 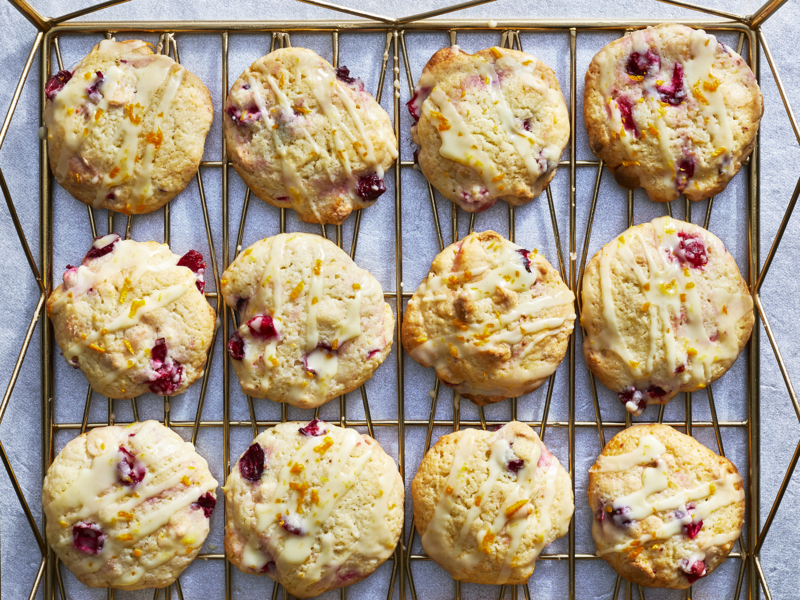 Pair tart dried cranberries with sweet grated orange rind for an irresistible muffin that's perfect for a quick, on-the-go snack. The salty, crunchy nuts complement the sweet pears perfectly. For optimal flavor, use Anjou or Bartlett pears and turbinado sugar. Whip up a batch of Pumpkin-Chocolate Chip Muffins to have on-hand for a fast, breakfast-on-the-go. Pumpkin puree and seeds provide seasonal flavor with added sweetness from chocolate chips. 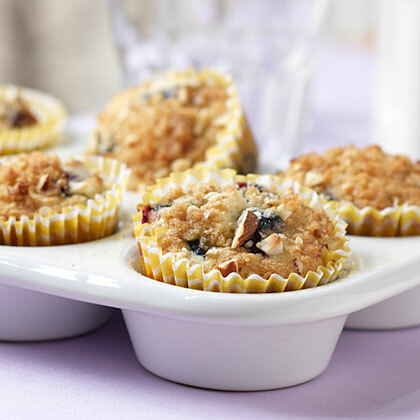 Whole-grain oats add nutritional "oomph" to this blackberry muffin recipe. We've called for apple-pie spice, but try experimenting with pumpkin-pie spice or plain cinnamon and nutmeg to make these muffins your own. Kids are sure to love this twist on the classic PB&J sandwich. 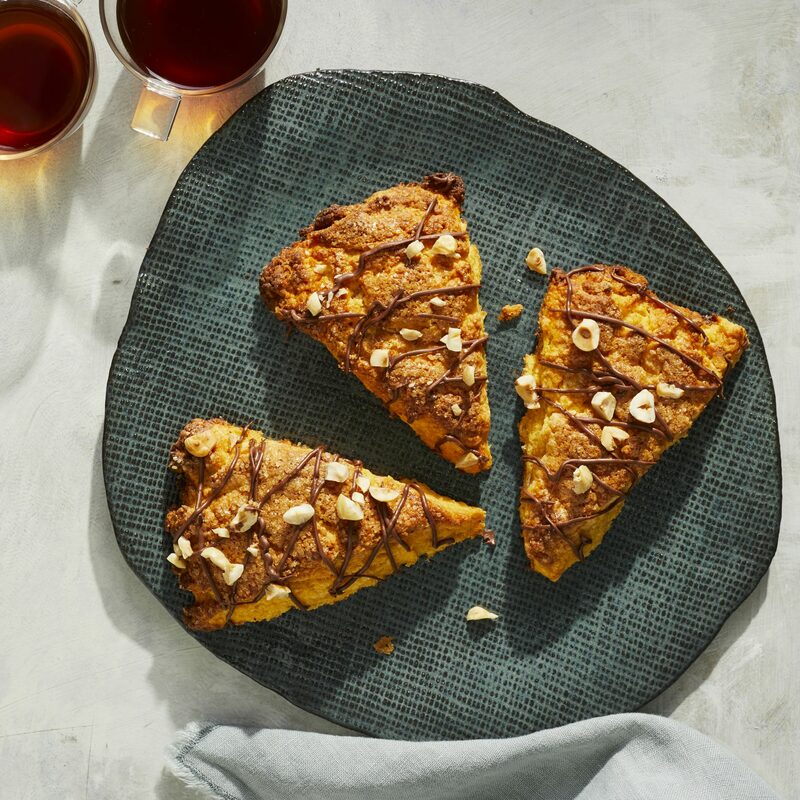 The peanut butter flavor is mild by design, but one reviewer suggests spooning the peanut butter on top of the muffins before baking instead of mixing into the batter for a more pronounced flavor. Delicious, satisfying, and filled with summer veggies—these muffins consistently receive rave reviews from bakers and eaters alike. These healthy muffins get their unique flavor from chai tea blend and roasted chopped pistachios. Sweet and fruity, nutty and chocolaty: these scrumptious Banana-Nutella Muffins have it all. Ramp up your fiber intake with these delicious muffins, which feature a hearty combination of wheat germ, whole wheat flour, wheat bran, and quick-cooking oats. Dates, raisins, and cranberries add just a touch of sweet and tart flavors. 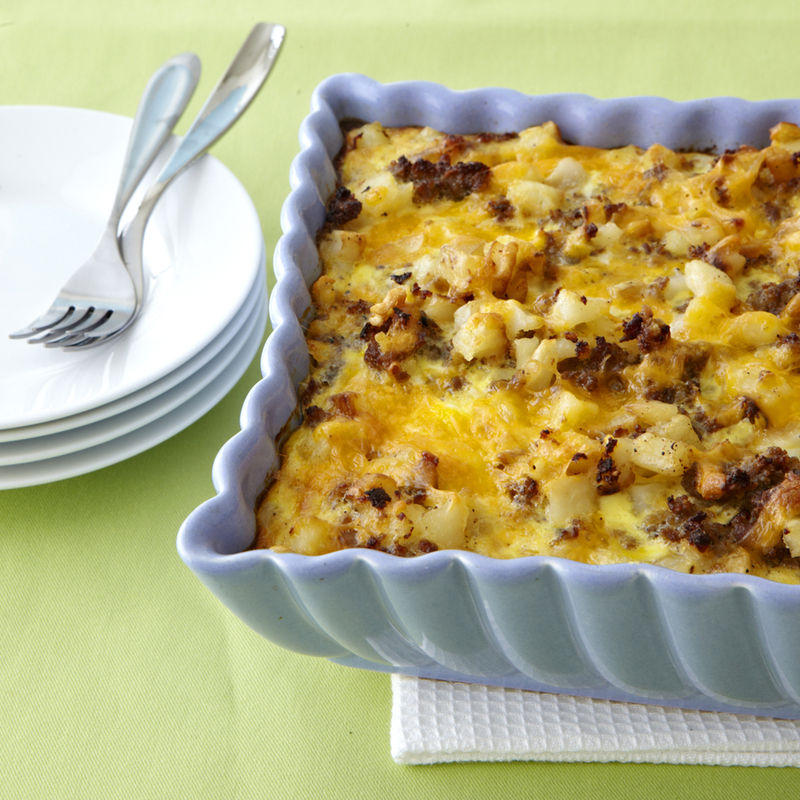 Pair with a glass of skim milk for a filling breakfast treat. Let's get healthy! A breakfast of one of these homemade gluten-free muffins, a cup of low-fat Greek yogurt, and a piece of fruit has fewer calories and more protein than one commercial gluten-free muffin. Kids will love biting into Jam-Filled Poppy-Seed Muffins to discover a colorful, sweet surprise inside.